4th of July is just around the corner and many are getting ready for the parades, BBQs and fireworks. The streets get covered in red, white and blue and the citizens of the USA celebrate our independence day. Decorations feature the American flag or the stars and stripes that signify our freedom. For Disney fans, we look for decorations that feature our favorite characters in the American ensemble. Trust me, this search can be more difficult than it sounds. Try searching for a 4th of July Disney table cover and then search for matching paper plates. These items are almost nonexistent. That’s why when I saw Spoonful.com’s 4th of July feature, I had to share! Spoonful.com has featured several printable decorations and party supplies sporting some of our favorite Disney characters such as Mickey, Minnie, Goofy and Donald. While finding a table cover with these characters may be next to impossible, We are now capable of decorating the table with a few Disney characters. I am so excited to actually complete my Disney 4th of July Theme. With Mickey Treat boxes, Statue of Liberty Minnie center pieces, and food holders and decor I am sure this will be a magical celebration! These are free to download, print and create, which is awesome since I am on a tight budget for this party! To download the following printables and begin your party planning, simply click the images. A new window will pop up where you can click the link and download the PDF. 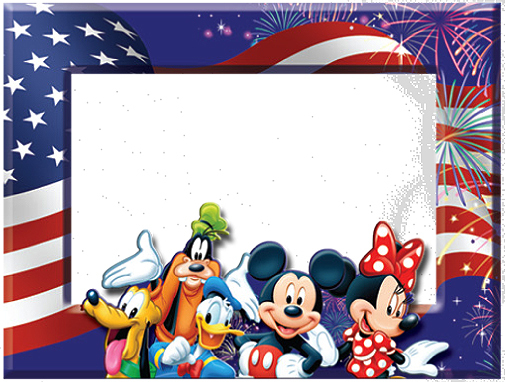 If you know of any other Disney 4th of July Printables, share them in the comments section below! I would love to see them and possibly add them to my decor, and I am sure other Disney Fans would love to see them as well.! Happy 4th of July! May it be Magical!